Passover customs and quirks vary tremendously between Ashkenazi, Sephardi – J. This question comes up over and over again. Of all the differences in customs among different groups of Jews, and especially between Ashkenazim and Sephardim, those involving Pesach customs are the most striking. The most basic difference between Sephardim and Ashkenazim pertains to kitniyot, which are eaten by Sephardim but not by Ashkenazi Jews. The literal translation of the word is “legumes,” but the term is a catch-all for several varieties of grain or meal that are not actually chametz. 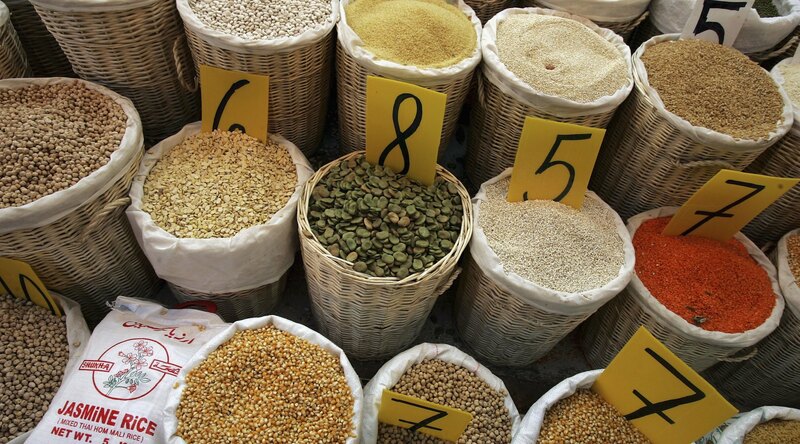 These include rice, corn, millet, string beans, green peas and various kinds of dried beans, such as lentils, split peas, soybeans and chickpeas. According to the predominant interpretation, the rule also extends to the oils derived from these legumes, as well as such borderline cases as peanuts. Where does this custom come from? The origin of the ban on kitniyot is lost in the mists of halachic history. It is first referred to in writing by the 13th-century codifier, R. Isaac of Corbeil, author of the Sefer Mitzvot Katan (S’mak). Yet he describes it as a deeply rooted, venerable practice, observed since earliest times by the kadmonim — a term referring to the founders of the Ashkenazi halachic tradition, somewhere around the 10th century. The S’mak points out that the rationale for this observance is not that any authorities consider rice or lentils to be chametz, but that it is an edict intended to prevent any possible mix-up between food made of these items and real chametz. The kitniyot problem was further complicated by the fact that various kinds of grain were ground into flour or meal, making it even more difficult to distinguish them from one another. In earlier generations, the kitniyot custom still elicited surprise from many quarters. There were those, even in the Ashkenazi world, such as the Tosafist Rabbi Yehiel of Paris, who argued against the custom, claiming that there was no cogent reason for it. Only in certain situations of dire need — famine or wartime — did the rabbis waive it, and then only temporarily, as needed. Even among Ashkenazim themselves, there are many variations regarding what one does, or does not, eat on Pesach. Anyone familiar with Orthodox society has heard stories of the proverbial neighbor’s son or daughter who came home from a year of yeshiva study, or suddenly became a devotee of a Chassidic group, and demanded that his or her parents revise their Pesach observance: no more matzah balls in the seder soup, no more cakes baked with matzah meal, no more matzah brei. Or some readers may have noticed hotel advertisements offering Pesach vacation packages that say: “no gebrochts.” Gebrochts, Yiddish for “broken,” refers to cooking or baking with matzah or matzah meal mixed with liquid. This avoidance of gebrochts, ubiquitous among Chassidic communities, is based upon the suspicion that matzah, even though it has been properly baked, may contain unkneaded bits of raw flour that, upon moistening, may become chametz. None of the official halachic codes mention this problem, and even state explicitly that matzah cannot possibly become chametz once baked. But this custom, based upon the remote possibility that some bits of unbaked flour might nevertheless exist, is deeply rooted in many communities. Pesach is not only food bans and kitchen anxieties. Entire books have been written about the many colorful and interesting customs of different Jewish communities. The child answers by reciting the Four Questions, thereby opening the seder. A similar custom is observed by Yemenite Jews, who perform a symbolic reenactment of the Exodus. The seder leader gets up from the table, throws the afikoman in its bag over his back like a knapsack, walks around the room leaning on a cane and relates to those assembled how he has just now come out of Egypt and experienced miracles. Several years ago, I was invited to a seder of Afghan Jews. Midway through the reading of the Haggadah, our hostess gave each of the guests a spring onion — a thick, footlong scallion. As they came to the singing of “Dayenu,” each person banged his onion over the head and arms of his neighbors. Nobody seemed to know the origin or rationale, if any, of this bizarre custom. In terms of halachah, the major difference between an Ashkenazi and Sephardi seder is that Sephardim do not recite the blessing over the second and fourth cups of wine, maintaining that the blessings over the first cup for the kiddush and third cup following the Grace After Meals cover these cups as well. The text of Ashkenazi and Sephardi Haggadot is basically the same, although there are some minor differences. Toward the end of the seder, there is greater freedom and variety among the Sephardim. Among some people, the concluding songs may be sung in a variety of languages. Jews of North African or Asian origin — and some Chassidim whose roots go back to 19th-century Eretz Yisrael — sing “Chad Gadya” in Judaeo-Arabic. Eastern European Jews have been known to sing a Yiddish version of “Echad Mi Yodea” (Who Knows One). The German Jews sing “Adir Hu,” the hymn ending in a prayer for the rebuilding of the Temple, in medieval German. On the last day of Pesach, there are various ways of celebrating and reenacting the parting of the Red Sea. In many communities, both Ashkenazi and Sephardi, it is customary to gather toward midnight in the synagogue or in the town square to recite the Song of the Sea (Exodus 15), with much singing, dancing, and rejoicing. Among Moroccan Jews, the end of Pesach is the portal to the Mimouna — the great Moroccan festival in honor of Rabbi Maimon, father of Moses Maimonides, a beloved leader of Moroccan Jewry more than 800 years ago. During the evening of the Mimouna, people traditionally visit one another in their homes, and ply each other with freshly prepared chametz foods, such as thin fragrant pancakes known as mufleita, stuffed dates, sweets and other delicacies. But the question remains: Why should Jews continue to observe customs such as kitniyot today, when Jews from so many places have been ingathered in one state? Is there no way that the rabbis can unify Jewish practice on such a basic point? It is inevitable, however, that over the course of time, the sharp distinction between Ashkenazi and Sephardi customs will inevitably begin to disappear. They will be replaced, through a process of organic change, by a more uniform custom, at least among Israeli Jews. Perhaps my friend, if she’s still around then, may be able to legitimately enjoy her neighbor’s rice and bean salads. If not, then perhaps her grandchildren and great-grandchildren will be able to do so.